Well here I am after a very long gap between posts. I have not been doing much in the way of papercraft as I have started dressmaking again in preparation for my holiday in June. 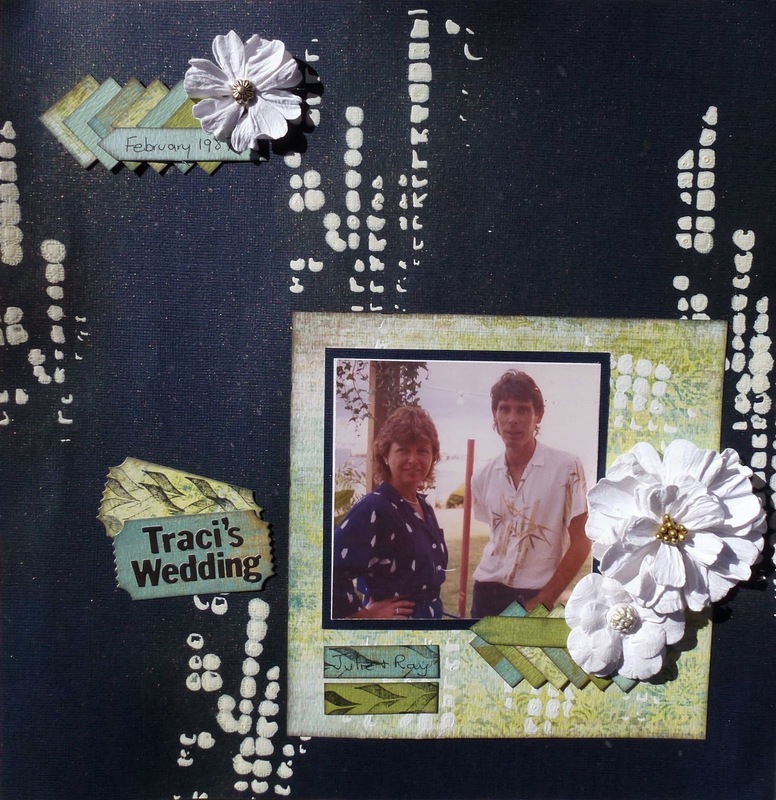 i was looking at Scrapbooking Memories the other day and saw a layout I really liked by Rikki Graziani from WA so I set about scrap-lifting it. This is the result. I used Gesso and a stencil to put the white on the navy blue background then sprayed randomly over the background with Yellow Daisy Glimmermist. The tickets are cut using Die-namicts Just the ticket die. A simple layout but I am happy with it. It is Saturday night and I am home alone....Ray is DJ'ing for a birthday party tonight. I was invited but thought I would stay here and get a bit industrious as I would not have anyone to dance with at the party with him working all night. Cindy started her cruise today. Hope she has a great time. SAVED BY GRACE ALONE AND FAITH ALONE? Calvinists often make the statement we are saved by grace alone and by faith alone. This is in and of its self a conflicting proclamation. You can believe one or the other, but cannot believe both. Definition of alone: separate, apart, to the exclusion of all else. It take unbridled self deception to say "I believe I was saved by grace alone and saved by faith alone." To be save by grace alone means that God does everything for you. Grace alone suggests that men have no free-will. Grace alone means that God forces men to have faith so that they might believe and be saved. Grace alone implies that men repent only because God makes it impossible to resist. Grace alone means that men are baptized against their free-will. Grace alone means that men only confess Jesus as the Son of God because God gives them no other choice. Faith alone, taken at face value means men are saved by faith alone. If you are saved by faith alone, then you do not need grace. If you are saved by faith alone then you do not need to be baptized in water. You cannot on one hand say I was saved by grace alone and then say I was saved by faith alone. There is no verse Scripture that says, "Men are saved by grace alone." There is no verse on Scripture that says, "Men are saved by faith alone." The Bible says men are saved by grace. (Ephesians 2:8 For by grace you have been saved through faith; and not of yourselves, it is the gift of God.) It does not say men are saved by grace alone. The Bible teaches we are saved by grace, but not by grace alone. The Bible teaches we are saved by faith, but not by faith alone. The Bible teaches that we are saved by confession, but not by confession alone. The Bible teaches are sin are forgive because we repent, but not by repentance alone. The Bible teaches that are sins are forgiven because of water baptism, but not by baptism alone.